Make sure your responsive real estate web design has all the essential features! Now that the majority of real estate clients use a mobile device at some point during their home search (a whopping 89%, according to a recent report from Google! 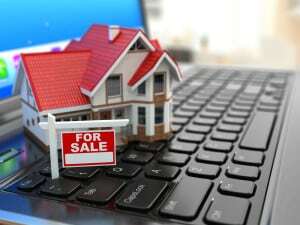 ), real estate agents are turning to responsive website design to ensure their customers have a positive online experience. Modern real estate customers are accustomed to browsing through properties online wherever and whenever they have a free minute to spare. If your website is not designed to perform flawlessly on every type of mobile device, these motivated customers will find a more mobile-friendly site to turn to. We’ve identified 6 tips for real estate agents for responsive website design that will help you make the switch to your new and improved site. Just follow these tips and you’ll be good to go! Viewing Alignment: To insure your real estate customers can see every detail of your listings, your site should adjust to allow portrait or landscape viewing. Mobile real estate customers are increasingly using voice searches rather than typing their queries. As a result, mobile search terms are becoming more conversational. To ensure your real estate website is found by mobile customers, you need to incorporate these new search parameters into your responsive real estate web design. Adjust your keyword selections to include long-tail keywords and commonly used real estate search phrases. Don’t forget to include ALT tags on your images – these tags can significantly raise your website’s ranking in mobile searches. Whether they are viewing your website on a desktop or a mobile device, your visitors want to get the best possible look at your listings. Include large, high quality photos that resize to the correct size for the device they are being viewed on, without stretching, pinching, or distortions of any kind. Use large, full color photos that clearly display your listings to catch mobile viewers’ attention. Smartphone users: Typically view real estate websites while on the move; your property detail pages should feature photos of listings with addresses and links to mapping features to encourage viewers to visit properties in person. Include click-to-call functions to make it easy for viewers to schedule appointments. Tablet users: Primarily use their devices to browse properties from home or stationary locations; design your property pages with galleries of photos to encourage browsing. Tablets are ideal for video viewing, so be sure to include video tours of your best properties. If you need some assistance making the transition to a responsive real estate web design, the design gurus at For Sale Marketing are here to help! We will create a responsive real estate website that has everything it needs to become the heart of your real estate interactive marketing strategies: lead generating web forms, easily accessible property listings, a real estate blog, and more. Click here or contact For Sale Marketing today at 954-779-2801 for a responsive real estate website design with all the features your mobile visitors are looking for!